After spending a decade-and-a-half working with guest musicians and flirting with disparate genres, Guillermo Scott Herren (aka Prefuse 73) decided to simplify his craft, returning to the sparse hip-hop beats that defined his celebrated 2001 debut, Vocal Studies + Uprock Narratives. But as Sacrifices proves, returning to your glory days isn't as simple as advertised. Over 17 tracks and 56 minutes, Herren strips his melodies down, sticking to slick but skeletal beats that wash themselves under layers of vocal samples, stretched and warped synths, and tasteful effects. Although much of Sacrifices, including several of the album's under-one-minute tracks, borrow too much from Herren's early work, there simply so much to love about the simplicity of Herren's new material. 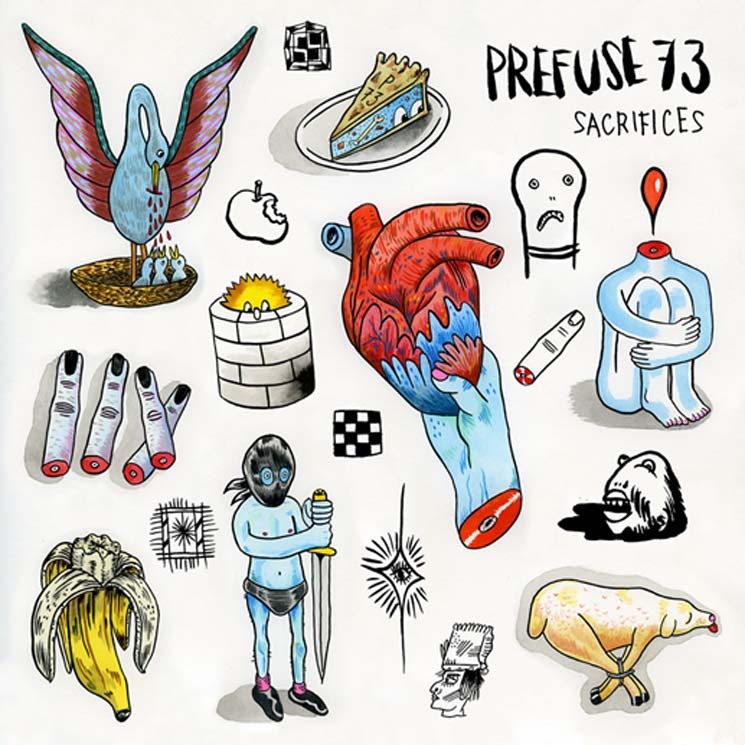 Prefuse 73 "Ages and Ages Upon You"
Prefuse 73 "You Are Now Poison"